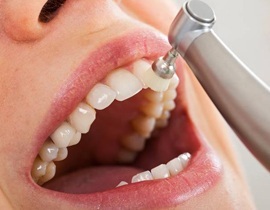 At Summit Boulevard Dental, we pride ourselves on being able to fix pretty much any dental problem you can imagine. However, with just two checkups and cleanings each year, we can help our patients avoid common dental issues like cavities and gum disease in the first place. That way, they don’t have to deal with the hassle of getting them fixed, saving them plenty of time and money in the process. 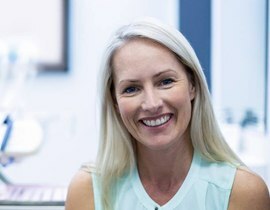 Even if your teeth look and feel completely fine right now, a checkup and cleaning with your dentist in Reno can go a long way in making sure your smile stays healthy year after year. Most oral health problems don’t show any obvious signs until they are quite advanced and difficult to treat, leaving many patients feeling “blindsided” when we tell them that they need a filling or crown. Getting routine checkups every six months can prevent this kind of thing from happening, however. 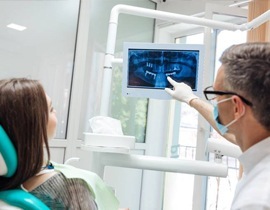 When you come to see us, your dentist will look at your teeth, gums, jaw, bite, and take some X-rays as well, looking for any indications of damage or decay. We’ll be able to spot an issue way before you do, meaning we can take care of it before it can cause a real problem later on. Checkups are all about prevention, and they enable us to give our patients smiles that they know they can always rely on. Even if you brush and floss your teeth diligently, there are still many tiny areas in your mouth that your tools at home just aren’t designed to reach. As a result, plaque can accumulate in them over time, and this can eventually lead to redness and inflammation in the gums as well as cavities. This is where our hygienists can help. Using an ultrasonic cleaner and a keen eye, they can quickly take care of these trouble spots and stop many dental problems before they even begin. Not only do cleanings leave the teeth feeling porcelain smooth, but they can also remove surface stains to protect the color of the smile! Attending routine preventive appointments is one of the best ways to maintain your oral health and protect yourself from needing more extensive dental work over time. 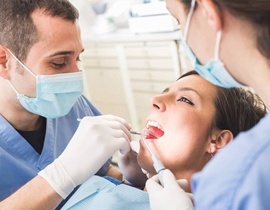 Plus, if you have dental insurance, these kinds of services are likely covered 80-100%, meaning there will be little to no out-of-pocket cost for you. That’s certainly worth smiling about! A checkup and cleaning only takes an hour or less, but it can save you untold hours in the dental chair getting something fixed. To schedule your next appointment, give us a call today.